Hangyul Kim started the violin at the age of 9 under the tutelage of Professor Wendy Sharp of Yale University. While Sharp’s student, she was awarded by Mayor John DeStefano for her artistic endeavors in the inner city of New Haven, including her solo debut at the Sprague Music Hall at Yale University with the Greater New Haven Youth Orchestra. Prior to her position in the Calgary Philharmonic Orchestra, Kim was the acting Associate Concertmaster of the Tucson Symphony Orchestra for the 2014-15 season, as well as the concertmaster of the Opera in the Ozarks for the summer 2014 season. Kim has had the privilege of performing throughout the United States, including at the Kennedy Center where she was awarded an orchestral fellowship with the Kennedy Summer Music Institute and studied with various members of the National Symphony Orchestra; and at the Eastern Music Festival where she was a member of the faculty orchestra under the direction of Maestro Gerard Schwarz. She was a two-year recipient of the orchestral fellowship at the Aspen Summer Music Festival, and has also performed overseas as a member of the Schleswig-Holstein Festival Orchestra and as a substitute first violinist for the Sydney Symphony Orchestra. While in Australia, she had the privilege of performing with YouTube viral sensation TwoSet Violin. Kim recently earned her doctorate from the Indiana University Jacobs School of Music where she studied with the late Ik-Hwan Bae and was the recipient of the Linda and Jack Gill scholarship, as well as the Dean’s Artistic Award. In addition to Bae, Kim has had the strange fortune of studying with other prizewinners of the 1985 Queen Elisabeth Competition, including Nai-Yuan Hu and Dene Olding. Kim’s teachers also include Alex Kerr and Luis Haza. Her commitment to her studies has enabled her to earn special recognition of highest distinction on her doctoral exams, and has also earned her minors in music history and opera stage management. 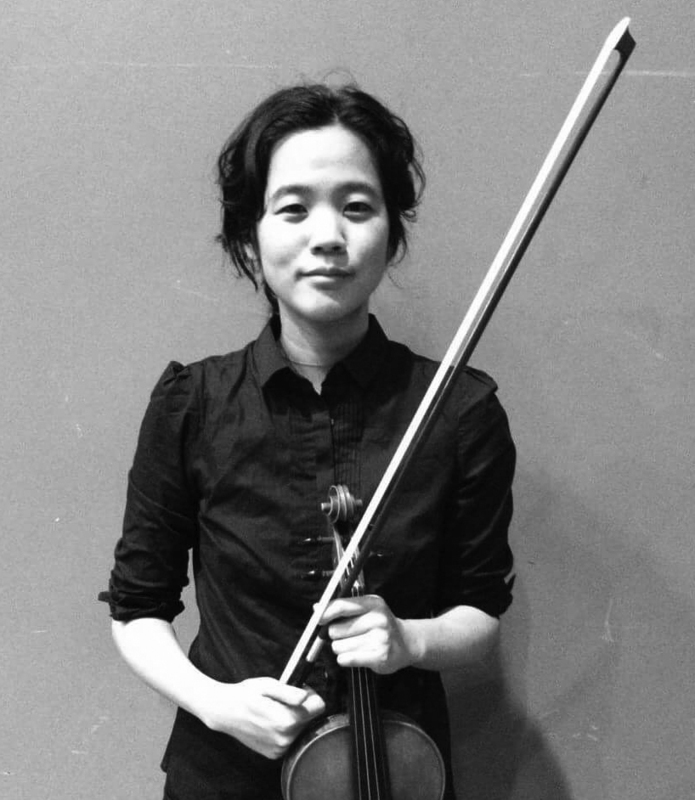 Kim’s dissertation, titled Erasing the Color Line: The Violin Concerto of Samuel-Coleridge Taylor, traces the life and achievements of colored composer Coleridge-Taylor and makes a case for how racial and financial privilege is still very much alive in today’s music world. Outside of music, Kim is an avid writer and has been the recipient of several prizes, including publication in Indiana University’s literary magazine Labyrinth, the grand prize winner of the Asian American Heritage essay competition, and the grand prize winner of the Martin Luther King Jr. essay competition at Indiana University.